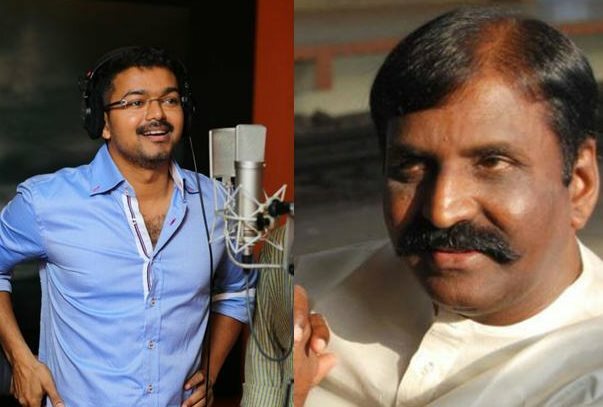 Vairamuthu who has the written lyrics of Vijay’s Puli and Vishal’s Payum Puli participated in the audio launch of both the films which were held on the same day. It is heard that Vijay’s fans have created chaos while singing invocation to mother Tamil (Tamizh Thaai Vaazhthu) which has provoked Vairamuthu. While speaking at the function Vairamuthu, who was angry at the fans for insulting Tamil Thai Vaazhthu has adviced Vijay indirectly that he should enlighten and show good path to his fans. Talking about Vijay's love for music, the maverick lyricist has said, "Vijay is someone who enjoys music. He also knows how to love each and every word being used in songs, he enjoyed all the songs I've written for Puli by reading the lyrics and singing the songs". National award winning lyricist Vairamuthu has put a open request for actors Ajith, Vijay and Suriya to join with director Suseenthiran and act in his Direction. He also added They should embrace his work to make it reach more heights. “Suseenthiran’s films have always been successful at the box office. He knows the truth behind delivering a good film. Our A-list actors of Tamil cinema should come forward to work with him. Vijay, Ajith and Suriya should sign him soon,” said Vairamuthu. TAMILS / Tamil Nadu should go for development of the Tamil Nadu state on HIGH GEAR ....otherwise they will be far behind every other state. JUST FOLLOW SINGAPORE, CHINA, JAPAN OR EVEN GUJARAT...as an example. DEVELOPMENT DEVELOPMENT DEVELOPMENT IS THE KEY TO SUCCESS AND SURVIVAL OF TAMIL STATE.